Peace Chapel will be surrounded by OTANY, an eco resort and retreat program for our military and veterans. 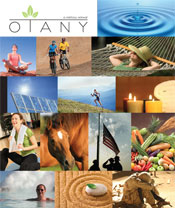 OTANY is a name we coined meaning "Opening To A New You." Our project has been especially designed to help our service members and those in need. We have selected the ultimate location, shown above, for Peace Chapel and the OTANY military retreat. The Peace Chapel and retreat property is located just 15 minutes away from Palm Springs and less than two hours from L.A. OTANY Retreat will be built as a horse guest Ranch on a 22-acre parcel of land. Our military guests will relax in the solitude of our secluded acreage on some of the best hot mineral springs in the world. Hiking trails are abundant from easy walking to difficult terrain. Outdoor enthusiasts will experience spectacular mountain vistas, waterfalls, mountain streams and unusual rock formations. The pristine desert air mixed with giant palm trees and indigenous flora an fauna create the perfect setting of natural desert beauty. Many years ago the Cahuilla Indians who inhabited our area learned about the curative effects of the hot mineral springs by carefully observing that when animals were hurt or injured, they would come to rest in the area's natural pools of mineral water. These Native Americans practiced what they saw and brought their sick and elderly to drink and bathe in the mineral waters. 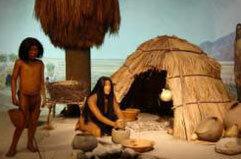 To their amazement, their sick, injured and elderly found cure and rejuvenation from the waters. Since then they have called the waters of Sky Valley "Miracle Waters." 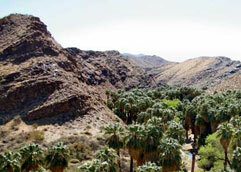 Thousands of settlers and visitors world wide have been drawn to the Sky Valley area for its therapeutic benefits. Peace Chapel and OTANY Retreat will be environmentally friendly and built with the health of our military, veterans and ecosystem in mind. The design features of our facility will promote resource efficiency through the use of rapidly renewable materials, water efficiency, alternative energy use, and integrated climate-specific landscaping. The retreat will focus on treatment of Traumatic Brain Injury (TBI), Post-Traumatic Stress Disorder (PTSD), Muculoskeletal and Toxicity problems, etc. It will emphasize stress reduction, detoxification, phyiscal therapy, healing, nutrition, fitness and Equine Assisted Psycotherapy (a program using horses to gain self understanding and emotional growth). On the grounds of Peace Chapel and OTANY Retreat, our guests will enjoy hiking, biking, horse back riding while benifiting from the beautiful mountain and caynon escapes. They will enjoy all levels of exercise training, physical therapies and soaking in our warm medicinal mineral waters. We specialize in programs for stress reduction that impact all areas of our service members' lives, their physical, mental and spiritual well being. Peace Chapel and OTANY is a destination where our military can get away and heal. 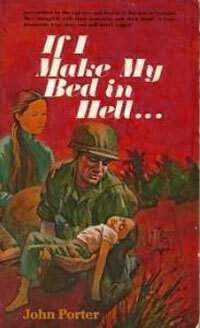 This is a place for our soldiers to find vitailty, where they can truly discover the "Opening To A New You ."